It’s not easy keeping your cover when you’re a fire-breathing dragon. 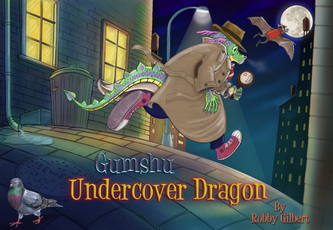 It's even harder keeping your cool when you are a dragon who is also a private investigator. Follow the adventures of Gumshu, Undercover Dragon and his trusty assistant, Otis Bat as they take on the notorious Pigeon Crime Syndicate to try and solve the mystery of the missing secret recipe!